Q: Many of your former students have gone on to great renown and fame. How do you determine who is carnival barker, who is lion tamer, who is clown and who is elephant? Q: Where does the disappointment come from, Pattabhi? How does it manifest within you? Q: You seem quite, may I say, annoyed by this development in Ashtanga. Why does it bother you so, if you are a man of non - attachment? Q: Are YOU Ashtanga and Ashtanga YOU? Q: If so, is another student's fame an insult to you personally and viewed by yourself as a personal slight? Q: Who determines what and whom is a novice? Q: When you say "to find" does that imply an active looking, passive hearsay, stumbled upon unfortunate discoveries, shocking revelations in odd places or some other means I haven't mentioned where and when you “found” this violation and problem “out”? Q: When you were a novice what were your goals? How differently did they turn out from your dreams and ambitions? Q: Does a novice reveal themselves in their teaching, their practice, their words or some combination of all these things? Q: Are you the sole decider of who and when someone graduates from novice into... ? What is/are the next level(s)? Q: If not you, who controls the selection of those student/teachers? Who has received “your” blessing to call themselves experienced teachers/students? And if they do have “your” blessing are they free to have fame and fortune if it comes to them? Q: I have read that most of the asanas, the sequencing of postures and even the techniques and shapes we now regard as “Asana Dogma” were created quite ad-hoc, through much personal observation and experimentation by Krishnamacharya and his students, many who became teachers like yourself. Forgive the long introduction to my question. If that was the case, why wasn't your group considered novices at the time? Weren't you all playing and trying out "new" things that might have been considered a bit of circus by the traditionalists? And if you were novices, why is there more anger towards those practicing their immature craft? Q: Do you personally go and attend the novice students/teachers classes that you label and determine are unfit to carry the flag of Ashtanga? Q: Are the teaching styles, by the novice, so degraded and ill-prepared that they are risking the integrity of Ashtanga? Q: Does a novice present a danger to the students, the style, your reputation? If so, in what ways? Q: Where do you find most of the novices live and practice? Q: When you say "so many," can you provide some examples of who, in particular, you are speaking about? Q: If you, believe there are "so many" novices, what are you doing to try to stem their growth? Is it even your responsibility? Q: When were you a novice? 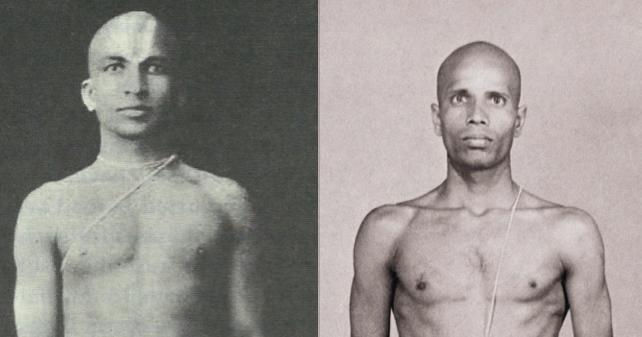 Q: When did Krishnamacharya stop treating you like a novice? Q: Did you ever resent him? Q: Who, if anyone, thought you were bastardizing true yoga for the style you helped create? Q: When did you become famous? Q: How did and how do you handle fame? Q: What has fame brought you? Q: Have you ever compromised your Ashtanga principles for fame or before the famous? What have you done to court fame and the famous? Q: What do you mean by profit? Is it strictly a money idea? Q: Who in your eyes is allowed and acceptable to become famous and profit from their teaching or practice? Q: Who is prophet and who is profit? Q: When is it ok for an Ashtanga teacher to profit from their involvement in the system? To what degree can that profiting extend? Q: How much and how have you profited from Ashtanga? Q: When you say, "their own", do you mean you are disappointed because some monetary value wasn't returned to you? Q: Do you "own" Ashtanga? Does anyone? Q: Are there any non-novice students who have gained fame and profit that do not disappoint you? Are there any, shall we say "experienced or worthy" individuals whom you view as not turning the system into a circus? If so, who are they? Q: I've been to Mysore. I've practiced with you. It was a joyful time in my life. Would you not agree, however, that the scene, and forgive me for using such a loaded term, inside and surrounding the shala, and in Mysore, in general, could be described, by some, as a circus-like atmosphere? Q: What is your role at the circus? Q: It has been suggested by some that Krishnamacharya created a fictional link to the scriptures in his Yoga Kurunta as a way to legitimize the new style of yoga and ground it in the ancient. Would you agree with such opinions? If they are valid, how can you take the position you hold so strongly today? Q: People like B.C. Ghosh and K.C. Sen Gupta and most famously, Professor K.V.Iyer, were blending a mixture of yoga and bodybuilding throughout many parts of India during the same time the roots of modern yoga were being born. Were your attitudes as hostile to their endeavors and different approaches as you are towards “power yoga”? Q: What is "power yoga" in your eyes? Q: Who and where have you seen the confusion of which you speak? Who are the most confused? Q: When did you or do you see the "confusion crisis" being at its maximum? Q: Who or whom are the confused? How is their confusion manifested? Q: Your use of the term whimsical fascinates me. What do you mean? Q: Why is Ashtanga not a whimsical creation? Q: How and why do you ascribe such lauded lineage to your system, while seeing, other, newer systems in such harsh and dismissive ways? Q: Do you see any new system, unlike Ashtanga or Iyengar, that lacks a direct link to the scriptures being able to ascend to a position that is NOT ever considered whimsical? Q: Is there any outgrowth of Ashtanga, Hatha or Iyengar yoga you have seen come to fruition in your lifetime that you consider NOT whimsical, un-liberated or dismissive of the scriptures? If so, why are they valid, worthwhile or worthy of practice and respect? Q: What is it about “power yoga” that is similar to bodybuilding? Or do you use it more like Body building without spirituality? Q: Does not your term "mud" create a conflict and degradation within and surrounding those who do not practice yoga, but rather enjoy and see benefits from bodybuilding? Q: If yoga, as you practice and teach, is the precious jewel towards liberation, are you suggesting that it is the only way to achieve such heights? Q: You use a word like shame. To whom would this shame fall upon? Do you say shame from a place of fear that Ashtanga is in danger of being forgotten and replaced? Q: Do you see yourself and your style in conflict with "power yoga”? Forgive me, but I can't ever see one replacing the other or that style truly threatening Ashtanga. Q: Do you view Ashtanga yoga as your “baby” or “child”, so to speak? Q: What will happen to the Ashtanga system when you pass away? Q: Who will monitor the teaching and structures and evaluations going forward after your passing? Q: What is more important to you, that Ashtanga yoga lives on or your name lives on?